The town of Secaucus, New Jersey, is a great place in which to raise a family. Being the most suburban of Hudson County’s municipalities, Secaucus certainly provides a great, neighborly place to live and grow safely and comfortably. Should you own a home in the area, then you’ll want that home to be nothing short of absolutely beautiful — much like the area surrounding it. And a great way to add beauty — as well as value — to ANY home is to have marble tile installed within it. If marble tile sounds right for you, then you need to call on Secaucus’ marble tile experts at Kennedy Tile & Marble Inc. With over three decades of experience in the trade, our tile and marble company can offer only the highest-quality marble for all of your tile purposes. MARBLE TILE IN SECAUCUS, NJ. Marble proves to be a great material for many purposes within your home. Being beautiful, durable, and long-lasting, you can benefit by using marble for your tiles, flooring, backsplashes, and countertops. If you are in the market for quality marble material for these purposes, then don’t hesitate to call on the marble tile experts at Kennedy Tile & Marble Inc. We can provide you with high-quality marble material cut to your exact needs and specifications thanks to our custom stone fabrication services. IMPORTED NATURAL STONE IN SECAUCUS, NJ. 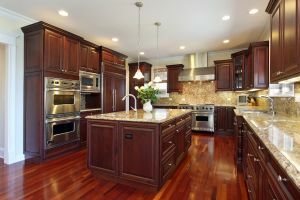 Of course, there are many other products that ALSO make for great tile, flooring, and countertops. Unfortunately, many of those products are not locally available. FORTUNATELY, though, for you as a Secaucus resident, you can rely on Kennedy Tile & Marble Inc. to provide you with just about any kind of natural stone you should want for your tile projects. If you are in the market for a natural stone that you simply cannot find anywhere, don’t hesitate to call on the stone importers at Kennedy Tile & Marble Inc. today!